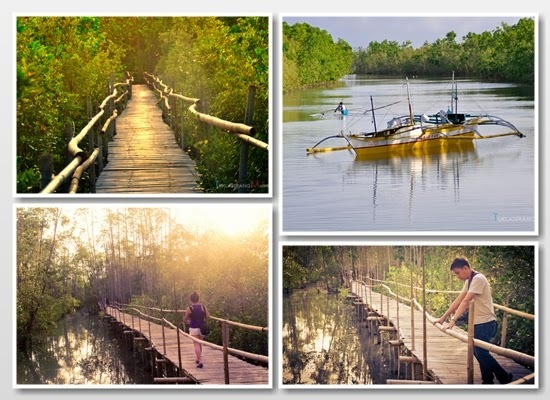 Not far from the town of Kalibo lies a 220 hectare mangrove forest located at Barangay Buswang. The reforestation project started in 1990 to prevent flood and storm surges in local community with the help of the government and local NGO's. 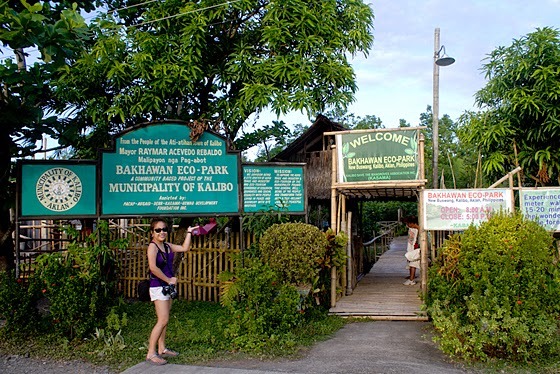 Today, Bakhawan Eco Park is considered as one of the most popular tourist attraction in Kalibo. So after spending days in Boracay and experiencing Ati- Atihan festival, we went back to Kalibo to catch a flight the following day for Cebu. From city proper, we traveled for 30 minutes by tricycle to the quiet town of Buswang. The trike driver agreed to take us there for Php 80.00 and have him come back around 5:30 pm to pick us up. Don't worry about getting lost, most trike drivers know the place. Thanks to the big green signboard, and it's definitely hard to miss. The entrance fee is Php 20.00 / Adult | Php 15.00 / kids. The small fee contributes a small part of the overall conservation and management cost. Hopefully they will add more facilities in the park to gain more tourist. 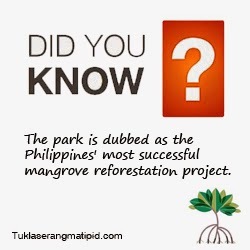 • The park is dubbed as the Philippines most successful mangrove reforestation project. 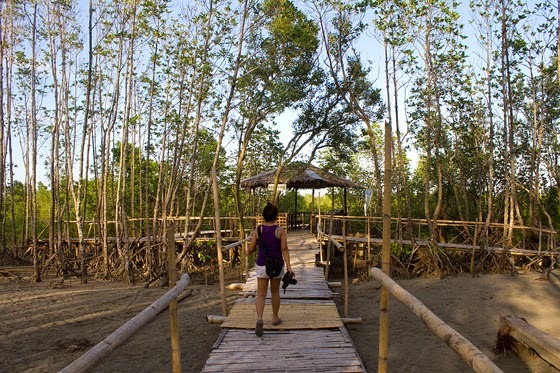 The walkway and handrails are constructed using bamboo wood. 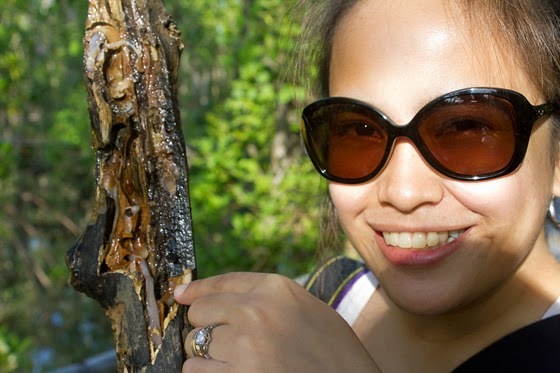 Don't miss to try the mangrove woodworm delicacy called "Tamilok". Some said that it tastes like family oyster. A must try for gastronomic adventurers out there. Those who appreciate nature and wildlife will surely enjoy this place. 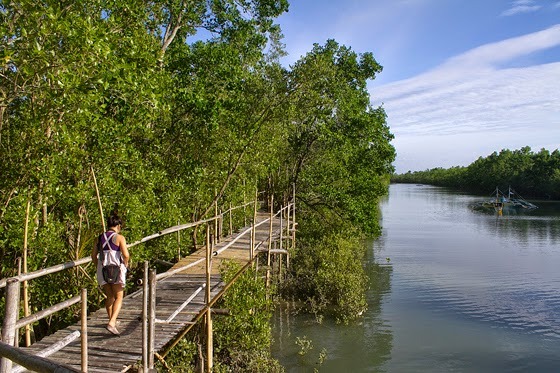 This mangroves offers shelter for local and migratory wildlife and serve as roosting and foraging grounds. We just followed the trail like there was no end. 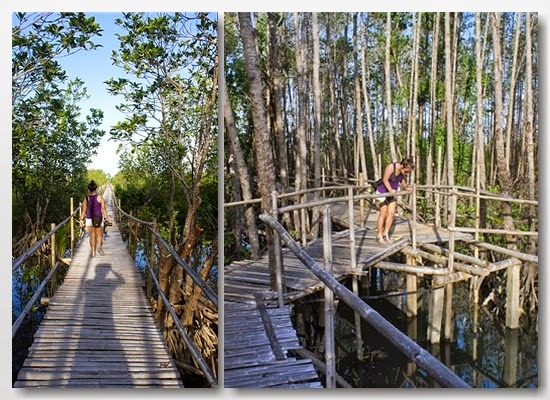 This 850 meter walkway stretches about 1.2 kilometers to the beach. That's 2.4 kilometers walking time in total. 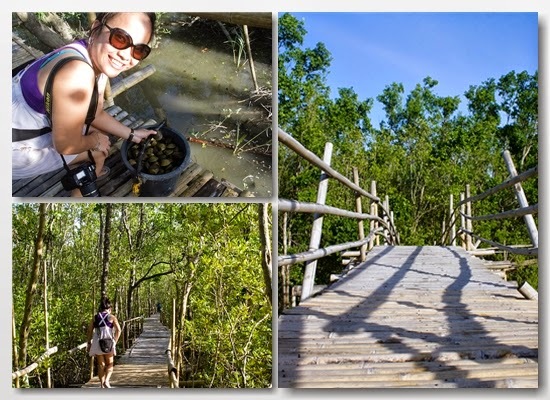 Thirty minutes after, we arrived at the far end of the mangrove path. You will be rewarded by a nice view,fresh breeze of air and serenity. We stayed here for several minutes then we decided to go back. 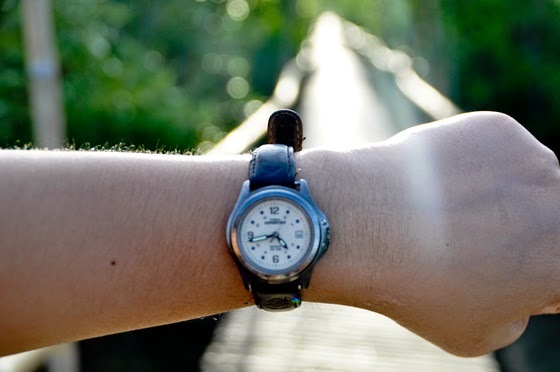 We clocked it from the end point to the starting point just to have you guys an overview about the walking time. The park closes at 5:00 pm and our trike driver was already waiting for us. During our visit, we encountered some damage bamboo planks along the way and needs to be repaired. 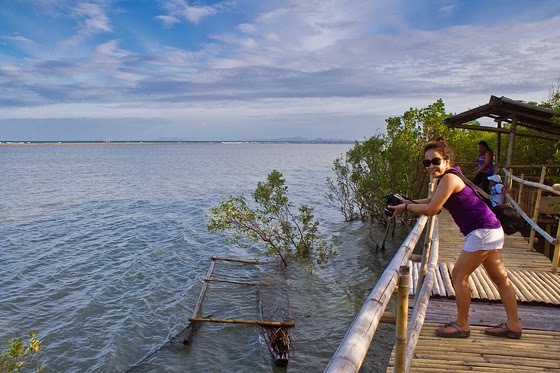 Nevertheless, It's a great place to reconnect with nature every once in a while.